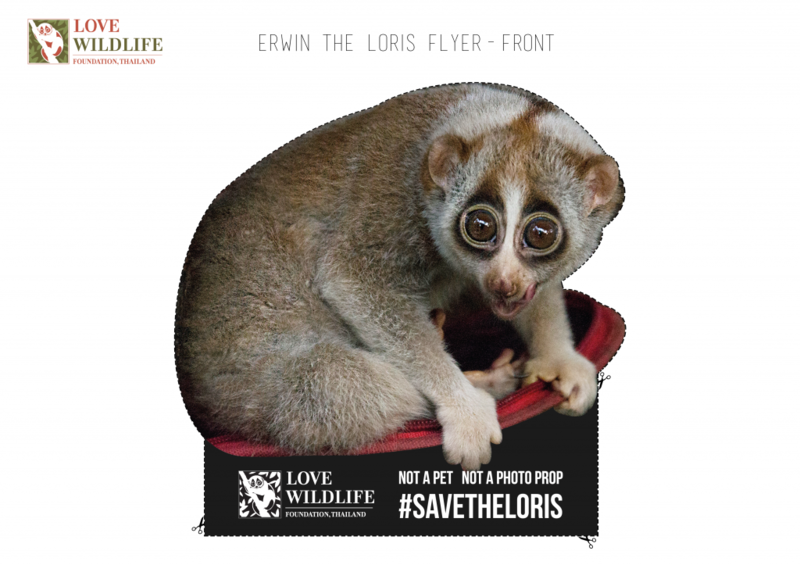 63% of the slow lorises Love Wildlife help to care for have had their teeth removed. Sadly, these impressive weapons are commonly cut down or pulled out in order to make the animals more manageable and safer to “pet” for humans. This practice often cause splintered roots and serious infections. Without their teeth lorises cannot return to, and survive, in the wild. 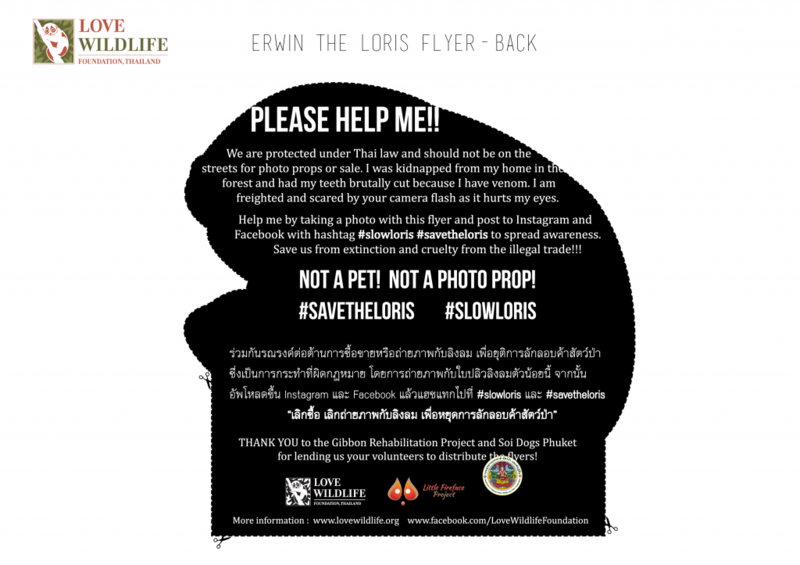 Erwin is a real loris confiscated from the Pattaya Walking Street and is now housed in our rescue facility in Chonburi, in collaboration with the Department of National Park’s Bangpra Waterbird Breeding Center. 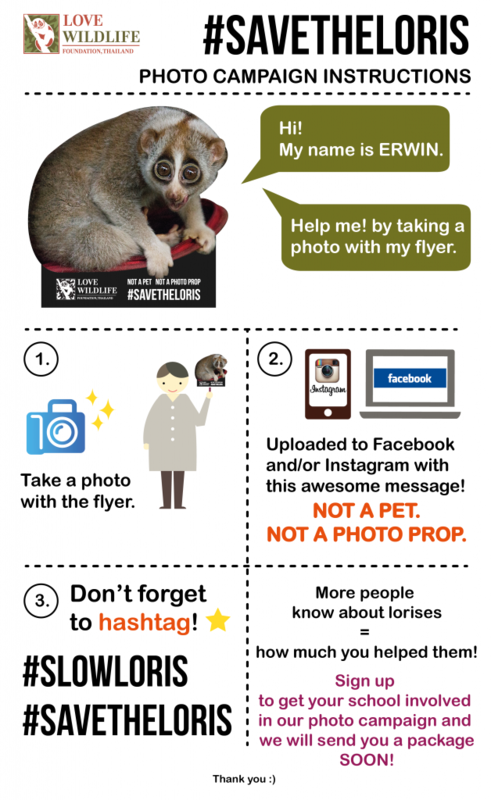 Help us #SAVETHELORIS and take a photo with Erwin (not the real one) and get lorises off the streets!